Since the release of the new generation of consoles (PlayStation 4 and Xbox One) almost a year ago, the most heated debate within the gaming community in relation to this technological upgrade has been centered around resolution and frame rate. For perspective, last gen consoles (PlayStation 3 and Xbox 360) mostly ran games at a strict 720p/30 frames per second (FPS). Current or new gen consoles, for the most part, have the ability to run games at 1080p/60FPS, though so far few games have been released for either console that run at those specifications. The debate here is that if these consoles can technically run games at that resolution and frame rate, why have so few games actually released with those specifications? I feel that while to an extent this debate is legitimate it has also seemingly taken over all other debates, which is what I find most troubling. By this I mean that the general public is caring less and less about actual content of the games that are releasing in exchange for games that look that much nicer on their high-definition TV’s. The concern for the quality of games has been narrowed down to how a game looks rather than how it plays. In my opinion, resolution and frame rate are important but not nearly as important as a game itself. Gameplay, narrative and characters hold much more weight on a game than how it looks. If we were to talk about how a game runs by bringing up the existence of screen tears, glitches, graphical issues, clipping, etc then yes, that is also very important yet somehow numbers trump how a game truly looks and runs. Simply talking about the difference between 900p v. 1080p is a bit frivolous as honestly the game would look great either way as long as the aforementioned issues were non-existent. It boils down to this: I find that a game which looks great yet runs or plays like garbage is still just a pretty pile of garbage. Resolution and frame rate should never come before content. To clarify, this is not to say they should never been taken into consideration at all but rather that they shouldn’t be the first thing to be taken into consideration, which is what is currently happening within the gaming community. These days games that runs at say 900p/30FPS (or anything that isn’t 1080p/60FPS) are being criticized before they are even released based on those numbers alone. What’s odd is that in a lot of cases the people doing the criticizing watch gameplay and follow a game with the intent of purchasing it based on its gameplay or fun factor until the resolution and frame rate are released to the public. Once they see the numbers they decide against buying the game and turn to criticism of the game as a whole based on those numbers, regardless of the fact that they wanted the game before for more legitimate reasons. I don’t understand how you can see a game via a gameplay/story video online and want it, yet as soon as these numbers are revealed you immediately don’t want the game anymore. It makes me wonder if this is what gaming has become, numbers over actual content. While this may be something that happens less frequently than it seems to, that fact that it happens at all is unsettling. An example of this brings us to recent news concerning Ubisoft and Assassin’s Creed Unity. As with my previous “My 2 Cents” editorial, Ubisoft and Unity are under fire again. The game’s resolution and frame rate for consoles (the game is exclusive to new gen and PC) have been revealed as being locked at 900p/30FPS on both consoles. While I don’t find the numbers themselves to be an issue, this reveal is still causing quite the ruckus among the community. I was a bit taken aback at the sheer amount of comments and Tweets I came across in which people refused to buy the game or have taken to bashing the game based on the resolution and frame rate alone. When I brought up the lack of diversity in this game I was met with a wall of people who basically said “who cares” yet as soon as the resolution and frame rate are revealed as being below 1080p/60FPS, the internet went wild. While the issues aren’t related, I still feel that diversity (or lack thereof) is a much more important issue than a few numbers, but again that’s just my opinion. It’s obvious that the masses care more about these numbers that the cultural implications of a lack of diversity in 2014. Senior producer at Ubisoft Montreal, Vincent Pontbriand, told Videogamer.com that they “decided to lock them at the same specs to avoid all the debates and stuff”. Basically, this means that both consoles are running at the same resolution and frame rate in order to stop people from debating the issues surrounding the PlayStation 4 and Xbox One’s graphical capabilities. He went on to say “Technically we’re CPU-bound, the GPUs are really powerful, obviously the graphics look pretty good, but it’s the CPU [that] has to process the AI, the number of NPCs we have on screen, all these systems running in parallel.” There is a serious issue here and I’ll give you a hint: It has nothing to do with the actual numbers. What I am taking out of all this is that the Xbox One’s CPU cannot handle the game at a higher resolution and frame rate so they couldn’t go higher on that console. Since they want to avoid any debates regarding capability comparisons between the new gen consoles, they theoretically “dumbed down” the PlayStation 4 version so that they are both the same. While I don’t feel that this conclusion is necessarily clear, I don’t understand why he would bring up the fact they wanted both consoles to be locked at the same specs if this wasn’t the case. If neither consoles could run the game at a higher resolution or frame rate, then why bring up the whole avoiding “debates and stuff” topic instead of just saying neither console could run it any higher? To me, this particular issue is one that should be discussed, not the numbers themselves. If they are in fact “dumbing down” one version of the game so that it matches the other, that is a legitimate complaint. Simply taking issue with a game not running as high as the console may allow for other games to run is less legitimate in comparison. Whether or not debaters knew this right off the bat or simply saw the numbers and got angry is irrelevant in light of the fact that the only thing I saw discussed by the majority of folks was simply “I can’t believe it’s only 900p/30FPS”. Also, the point still stands that up until this announcement, no one seemed to care about anything other than the fact this Assassin’s Creed Unity looked great and was definitely going to be a very enjoyable game. *Note: Since completing this article I have noticed that there has been a significant shift in discussion about this particular issue, one that is not about the numbers and more about not wanting new gen console parity in regards to graphics. While this doesn’t negate the fact that before writing this article most of the discussion I encountered was number related, it’s important to note that the more serious issue at hand is taking precedence now which is very positive. Back to the topic at hand, why are resolution and frame rate discussions overshadowing discussions about gameplay, narrative, characters, etc? I’m fully aware that this is 2014 and we are in an era that features consoles with more capabilities than ever before. I’m also aware that there is an expectation, that people want games to look like they are new gen and not like they are last gen. When we buy a new console we don’t want to play games that look like they could have been released on last gen consoles, that we could have saved ourselves the money and stuck with last gen and played these games. But here’s the thing: 900p/30FPS is still higher than 720p/30FPS and taking out your frustrations on games themselves (saying that you wont buy them due to less than max resolution/frame rate) rather than questioning why developers are choosing to make games that way is not working to remedy the problem. It’s also important to remember that at this time in the new gen lifespan, a lot of developers are still releasing their games on both last gen and new gen consoles as opposed to only new gen, which is something that also affects the resolution and frame rate. If the developers don’t want to put in the extra effort to make the new gen versions run at better specs or look better on new gen consoles then we need to be questioning that. Punishing games isn’t helping, questioning developers would be more productive. One major problem in regards to this particular discussion lies in our reliance on new technology. We want new things and we want them immediately. What a lot of people seem to forget is that these things take time and the fact that the progress that has already been made from 2013-2014 is being overlooked because 2014 isn’t 2020 just goes to show how reliant we have become on immediate technological advances. 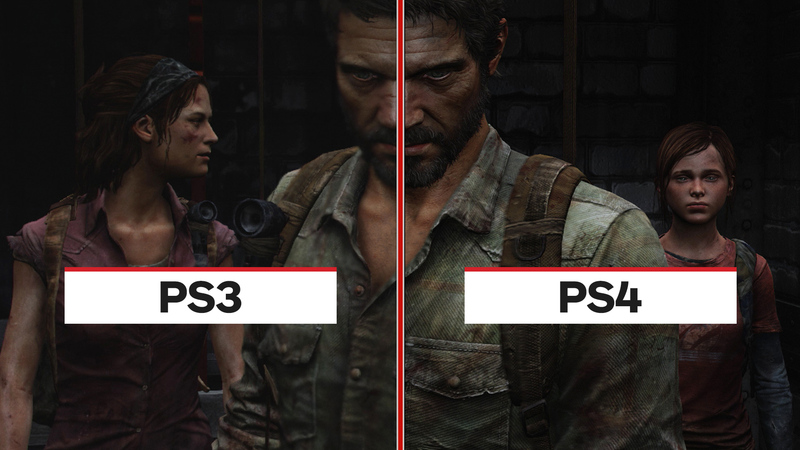 Looking at a game that came out last year for last gen consoles versus a game that game out this year for new gen consoles is a big change, visually. Is it the biggest change? No, but it’s still progression and just because games don’t look like reality yet doesn’t mean they are bad or stagnant. We still have a lot to look forward to in the future and enjoying the now is key. What all of this comes down to for me is enjoying games. People often tell me that worrying about what other people think in regards to these complaints about resolution and frame rate is a waste of time, but I can’t help but be bothered that people are simply choosing not to enjoy video games because of some numbers. So a game isn’t 1080p/60FPS, does that mean that as a whole the game is bad? Of course not. All it means is that to some people, there will be a slight change in the way a game looks. Personally, I don’t really notice much of a difference between say 900p and 1080p, and while I do notice a difference between 30FPS and 60FPS the latter makes my eyes hurt so I don’t prefer it. I can enjoy the game regardless as long as the content is well done. To sum it up, the message I’d like to send out is that yes, this stuff does have importance but no it is not everything. Content is more important as that is the meat of a game, it’s like saying a human is worth more simply because they are attractive, regardless of kind of person they are. Saying someone who is pretty but a really terrible person is worth more than someone who may not be as pretty but is a really awesome person is missing the whole point of what it means to be a human – and the same can be said for games. I always strive to think more critically about game content rather than about game appearances, I only hope others will start doing the same. While some find that the biggest issue in modern gaming is the resolution/frame rate debate, I find that the fact that content has taken a dive in most mainstream games is a more serious issue and it’s one that should really be discussed more than it currently is, but that is a discussion for another time. I pretty much agree with everything that you said. The content should always be more important than the resolution and all of that. I think it’s silly to obsess over the specs. However, Unity in particular has me worried in a few ways. The diversity, as you mentioned. 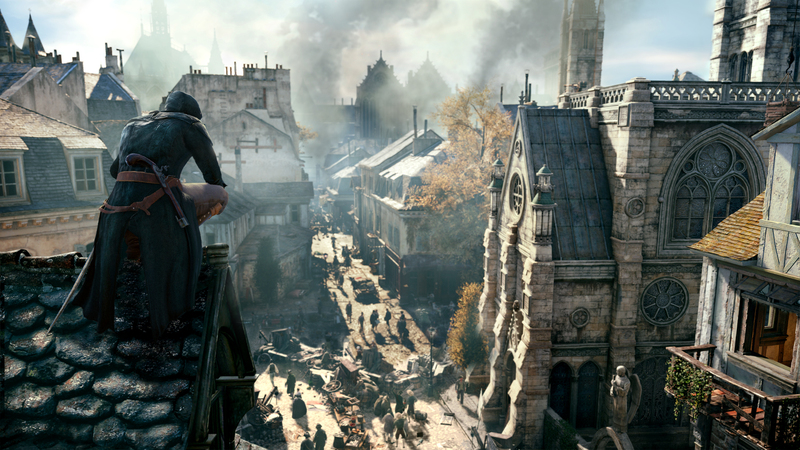 It doesn’t effect me personally, but I believe that they should have included female assassin options for the co-op. It’s a ridiculous, ignorant, and lazy move by Ubisoft. As someone who usually prefers single player to co-op and multiplayer, I don’t like that it looks like co-op is such a big part of the game. I feel like it should be optional and not seemingly a necessity for playing through the story. The graphics. 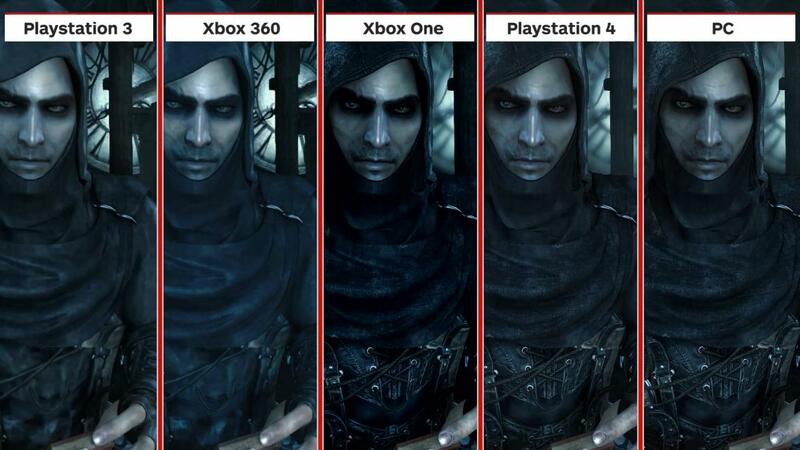 While I usually don’t care about the specs, I think Ubisoft pulling this with Unity is a step backwards. Black Flag on PS4 had 1080p (through an update) and it was glorious. Can they seriously not do that again? It’s even more upsetting with the prospect that they’re only holding back because they want equality with the XBO. I still plan to play Unity, because I’m so invested in the series, but I’ll definitely be playing it with a lot of skepticism. If it isn’t up to par, I think it’ll be time to hang up the hidden blades for good. I concur with your thoughts on Unity. I plan to play the game as well but I’m very skeptical. They have been making shifty, lazy moves for awhile now and that’s simply not good enough. If I’m paying $60+ for a game I don’t want it to be such a lazy piece of work. I fear that Ubisoft is falling into the CoD realm of “the fans will buy it regardless so whatever” as a developer, which is sketchy at best. I’m glad to see that fans are as upset about all these recent shenanigans as I am (I’m not a huge fan of the series, but I do enjoy some games in it) so that’s a positive I suppose. Yeah, Black Flag was amazing, but ACIII was so bad that I would never play it again. Incomplete, buggy, bad story, everything was wrong with it. The DLC for it was even worse. I would recommend Liberation HD on PS3, though, if you haven’t played it yet. Aveline is awesome. I hadn’t thought of that comparison to CoD, but it could be a good one. I’m also giving CoD one last try this year. Like you said, games are expensive, and I can’t afford to waste my money on a bad game. We’re also getting older and the time we invest into games is also very valuable. I really enjoyed Black Flag, it’s the only game I’ve really loved in the series, well at least what I have played of the series. I actually have the Liberation Vita bundle but have yet to play that game haha. I heard the console version is better though, if it goes on sale I’ll definitely pick it up. Yeah, I enjoyed the Ezio games, but I think Black Flag was definitely the best game in the series. I didn’t play it on Vita, but I think that’s a good plan. Wait for a sale for the PS3 version. I think I got my download during a spring break PSN sale. I had gotten bored with them after Ghosts, but it does look pretty awesome. I’ve got higher hopes for the story with Kevin Spacey on board. Same here! I hope to be playing future games with my future children and of course introducing the classics to them too. I bet local co-op could be pretty cool in the near future with VR tech. Seriously though I think judging a game by it’s FPS or resolution is stupid. I would rather play a game locked at 30fps than a game that can’t maintain a solid 60fps. As a response the comments above my kids are showing an interest in gaming. So far they really love Killer Instinct for the Xbox One, Skyrim for the PC, and Donkey Kong for the Wii.